I was listening to an old Van Halen album when I made this font. I named it after one of my favorites: ‘Ice Cream Man’. 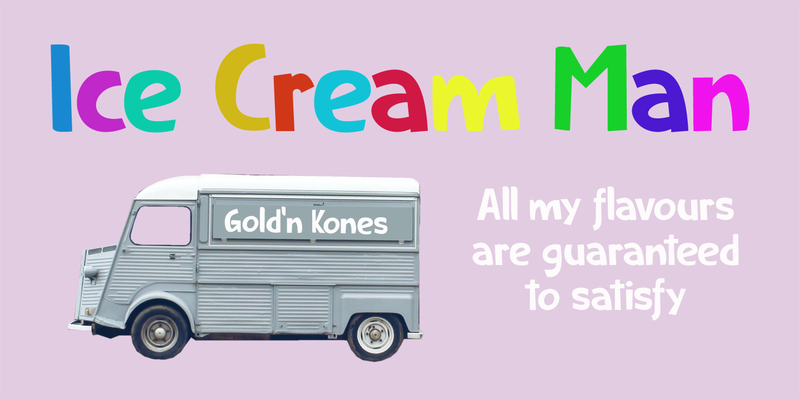 Ice Cream Man is a happy, sloppy, wobbly kids font. Use it for your book covers, posters and ice cream packaging!